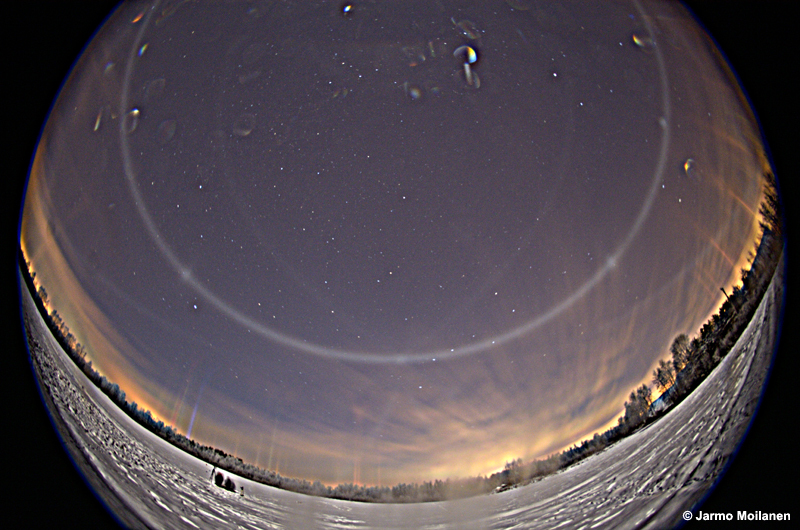 This night conditions were overcast and we were watching halos in spotlight beam. 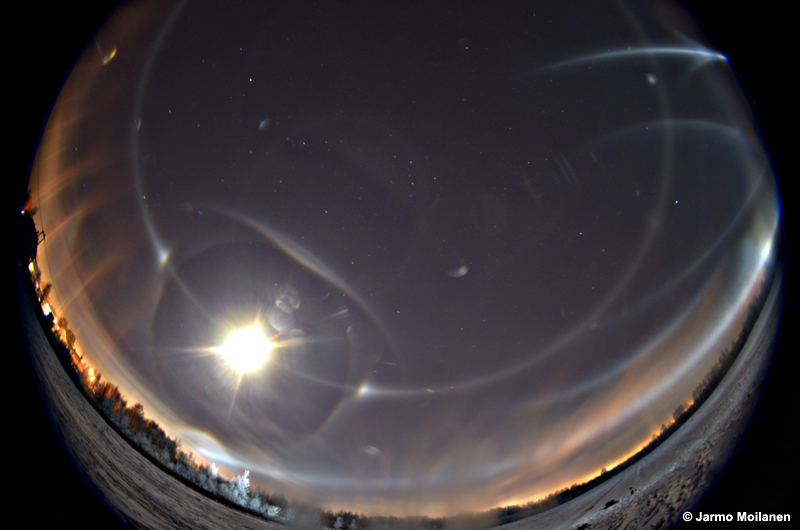 But there was a moment when clouds all turned into ice crystals, allowing moon shine bright and make a passable display. We switched off the spotlight and managed to take some photos before it got cloudy again. Camera lenses were frosted, which caused some blurred areas and bright dots in the images. Here the spotlight is still on, making its own halos. 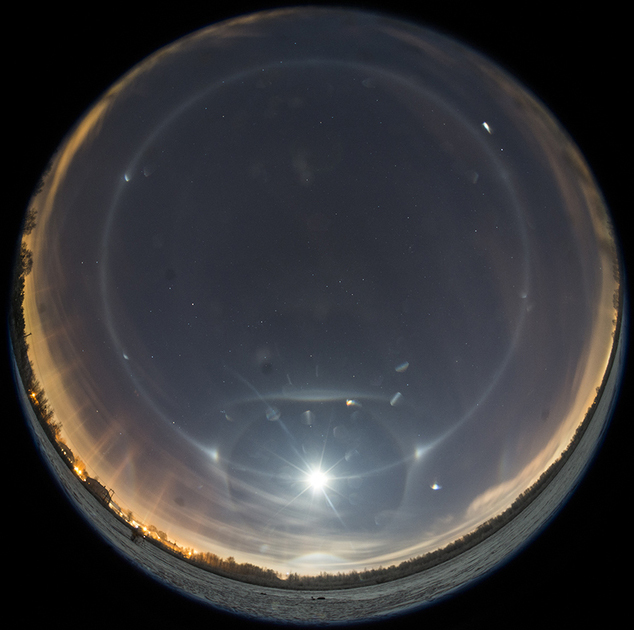 This entry was posted in diamond dust halos, moon halo, reflection halos. Bookmark the permalink.